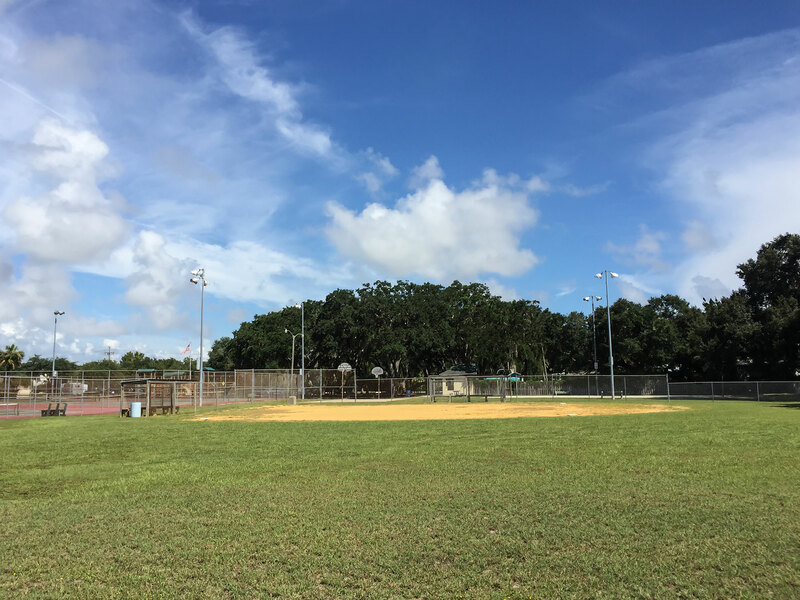 Ron Parker Park in St. Augustine Beach is a small park with dog park, playground, tennis courts, basketball courts, and a picnic area. The space is located a few blocks west from the beach, and is a shady place to have lunch. Ample parking is available and is often used as an overflow for St. Augustine Beach events. The park is dedicated to Deputy Marshall Ronald Parker who was shot and killed in the line of duty at just 27 years old having served 7 years with the St. Augustine Police Department. A memorial to him can be found at the flag pole. A large playground has swings, slides, and things to climb on for older kids. Another playground across the way is more suited for younger children. There are ten swings for older children and adults, and four seat swings for toddlers and younger kids. 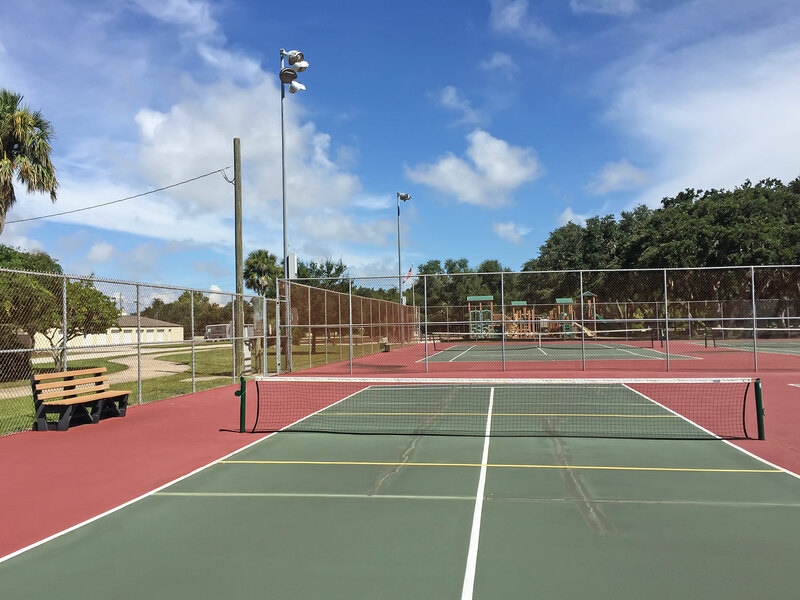 The Dale Williams Paddle Tennis Courts at Ron Parker are public and open from dawn to dusk, or as long as the lights are on at night. Play is limited to one hour or two hours for doubles. Tennis shoes or rubber-soled shoes are the only footwear that should be worn on the courts. The courts are for public play only and paid lessons should not take place on them. Two basketball courts at Ron Parker are avilable for public use. They are situated behind the tennis courts near the bathrooms. A pair of benches and nearby picnic tables provide seating for spectators or players between games. 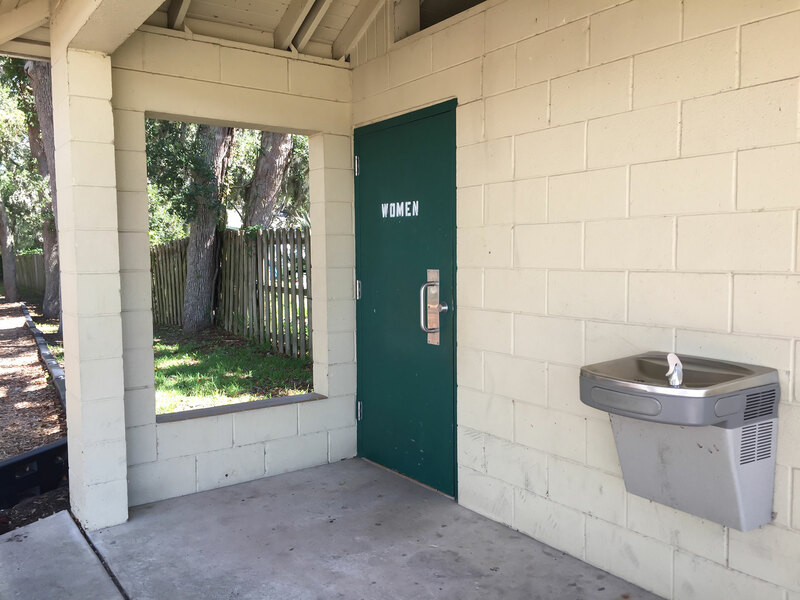 The bathrooms nearby are open during park hours and have a water fountain for staying hydrated in hot weather. 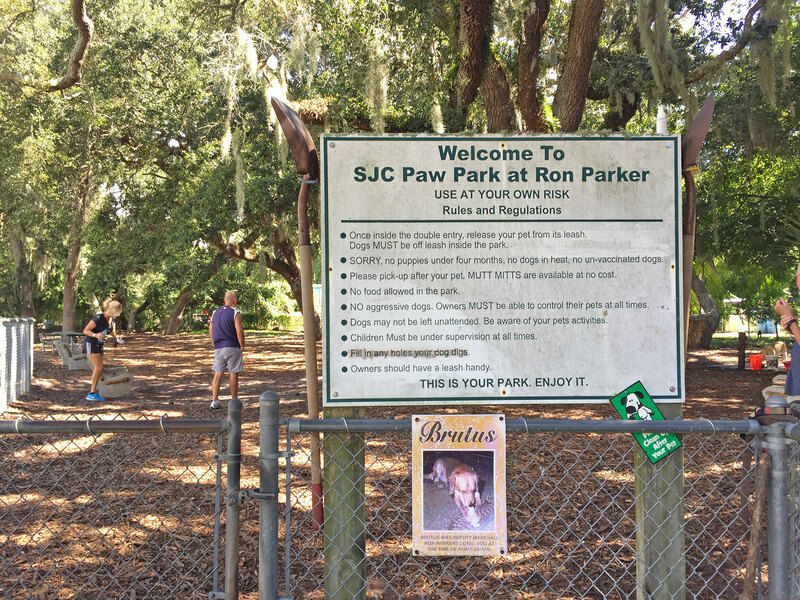 The SJC Paw Park is one of the few dog parks on Anastasia Island. Dogs in the park must be off a leash and you shouldn't bring any puppies under four months, any dogs in heat, or dogs who are unvaccinated. No food is allowed and no aggressive dogs. Owners must be able to control their pets. Dogs may wander within the park unattended, but try to keep an eye on their movements. Children must be supervised at all times in the paw park. Make sure to fill in any holes your dog digs with the shovel provided in order to prevent a tripping hazard for others. The dog is equipped with a small dogs area, a swimming pool with water, a hose and you can often find tennis balls for playing a game of catch. There are a few benches within the gated area, and bags for picking up animal waste. The park also has a baseball diamond where visitors can play a pick-up game. Two cage dugouts are available to house teams at bat. 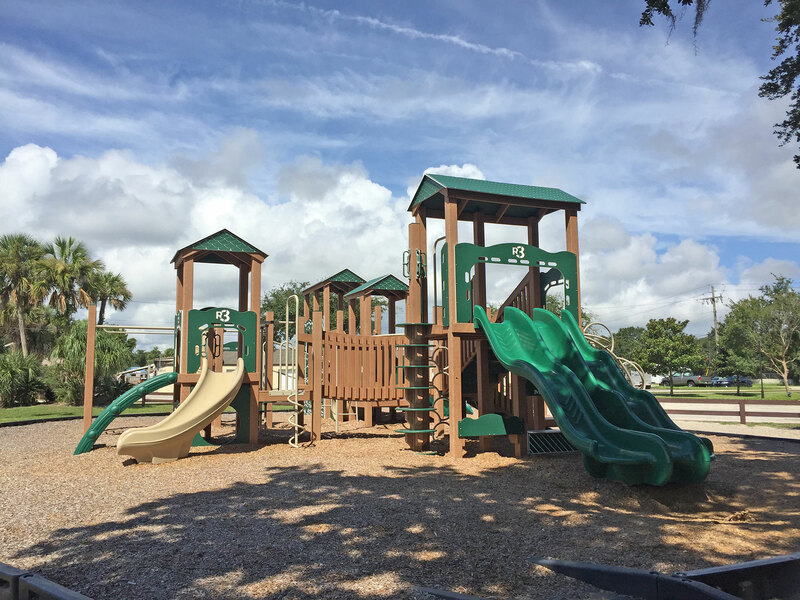 Be the first to Review Ron Parker Park!